A FOUR-YEAR agreement to supply equipment and skills to effectively mine the lucrative South East Ore Body (SEOB) of the Chambishi copper mine has been signed between Sandvik Mining and the Chinese-owned Non-Ferrous Corporation Africa (NFCA) Mining. Sandvik will begin to supply NFCA with a complete suite of mining equipment to successfully mine the SEOB, beginning in March 2017 and running through 2020. This is according to ZCCM-IH weekly updates. Speaking during the signing ceremony held at the mine recently, Sandvik Mining and Rock Technology sales area manager for Central Africa Daniel Banister said the agreement paved way for future similar successful partnerships with other mines in the region. Mr Banister said the company investment in increasing the competence of its personnel was clearly paying dividends as it had the right people and products to support even the largest operations in the region. “We believe this is just the start of a bright partnership with NFCA and its mother-company China Nonferrous Metal Mining Co. Ltd. 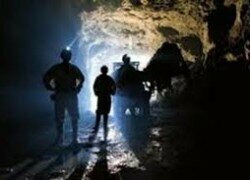 It certainly paves the way for future similar successful partnerships with other mines in the region,” he said. Meanwhile, NFCA senior deputy chief executive officer Donghong Zhang affirmed the good working relationship that existed between the two companies, adding that since the project started in 2012, Sandvik had shown tremendous support and commitment. Mr Zhang commended the company on its ability to leverage its local and international expertise to find solutions for the Chambishi mine. “A project of this nature underscores Sandvik Zambia’s ability as a full-fledged solution provider, rather than just being a product driven company,” Mr Zhang said. “This is just the kind of company that NFCA needs to be doing business with in the future,” he said. With the assistance of Sandvik Zambia, the mine will enter into a four-year agreement to supply a comprehensive solution that will include automation of the mine, equipment, services, training and the company’s unique Trans4Mine optimization programme.